Who is that freak asked my mother when I proudly pulled out the Purple Rain vinyl record, from the HMV bag to show my parents how I had spent my pocket money. Yes, I said defiantly, “he is a freak and so am I”. I was thirteen years old, had just fallen in love with the music of a freak named Prince, and was I damned proud of it. As I turned and walked away I chuckled to myself, wondering how my mother would react when she heard the lyrics to Darling Nikki. My next act of teenage defiance was to go see Purple Rain the movie, which was A rated, and officially released the day after my birthday; which of course I took to be a sign. Therein lies the magic of Prince; I truly believe that people who found and loved his music will also have deeply personal connections, experiences and memories of this discovery. Prince once said “I’m not a woman. I’m not a man. I am something that you’ll never understand;” but yet it feels like he understood each one of us in a way few artists ever do. I love music and admire many bands and singers but there was something special about this freak. He was proud of being a freak. He was not scared of being weird, of being different, of being himself. 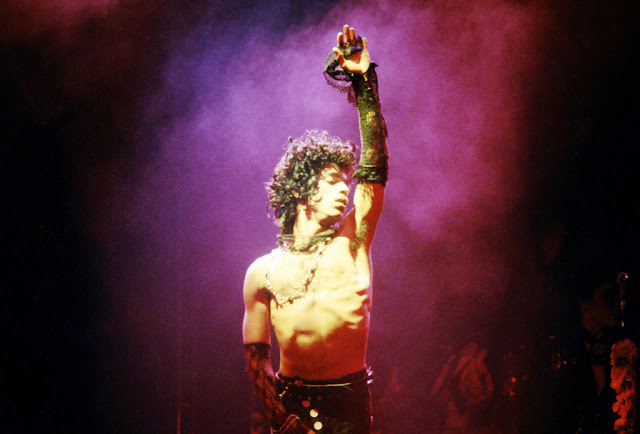 And perhaps it was this deep, pure and unadulterated confidence in his being that came through in his music and gave us all permission to be teenage freaks. Being a teenager is hard enough. Add pimples, girls, plumpness, girls and the complexities of navigating teendom increase exponentially. For me Prince was the beacon who helped us navigate those weird, wonderful and at times superficially torturous years. He gave us permission to go forth and be ourselves; pimples, warts and all. Part of his allure was that unlike most pop stars he seemed shy, nervous and almost insular. It was like he wanted to share the genius of his musical soul and then hide from the fame that naturally accompanies it. Perhaps it was this quality that made him more endearing and made him feel more like a family member than a distant pop icon. All content in this blog © VAISH WORDS. Any unauthorized use and/or duplication of this material without express and written permission from the blog’s author is strictly prohibited. Links may be used provided there is appropriate and specific direction to the original content.